Reading this book was a disaster- I had bought Jeff’s ‘Best Kept Secrets’ long back and it had got sidelined among other things that kept me busy. Later I bought another of Jeff’s books “Be careful what you wish for”. Unfortunately I ended up reading “Be careful what you wish for” first, while I’ve not yet read ‘Best Kept Secrets’. I was under the impression that these were standalone novels, but only after reading “Be careful what you wish for” I realized that it is part of a mega series and are incomplete on their own. There is no indication on the book cover that these are part of a series. No way a buyer can suspect it, unless he’s read enough reviews about the book. Me blindly trusting the popular author and buying his book without reading reviews backfired. 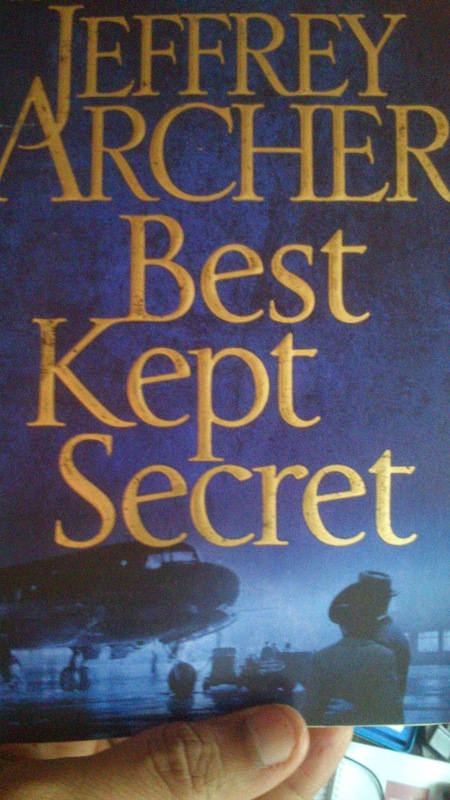 I recently finished reading ‘Best Kept Secrets’ but couldn’t enjoy the book. Because ‘Best kept secrets’ is the 3rd book in Clifton Chronicles series and narrates that plot that happens in Clifton/Barrington families, much before the plot of “Be careful what you wish for” (4th book). There were 2 books before ‘Best kept secret’ and there could be few more after the 4th book, before the series ends in a logical conclusion. Each character I read about in ‘Best Kept secrets’, I already know their future- that Jessica will be killed, Emma will be on board of the shipping company, what Major will be doing in future and so on. So the whole surprise and curiosity is completely lost. I had to finish reading ‘Best Kept Secrets’ largely because I had paid for it. I skipped several pages where I felt that they didn’t have anything interesting/valuables worth reading. If you’re buying, buy the entire series. Don’t pick individual titles.I don't plan to write about the plot- Wikipedia has good summary, which you can read it here. However, learnt a few things about book publishing, arm-twisting in elections, smuggling etc.